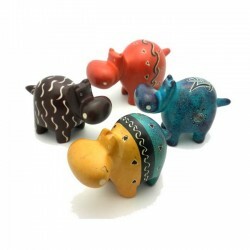 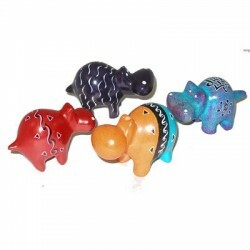 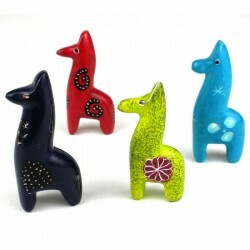 Cute, funny and definitely exotic, our range of handcrafted fair trade animal ornaments from around the world are made from a range of materials with sizes and prices for everyone. 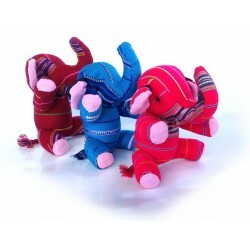 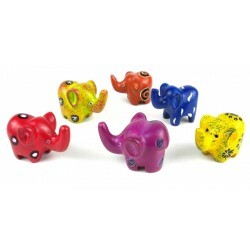 This very cute, small sitting elephant is made by the Karen tribal people f.. 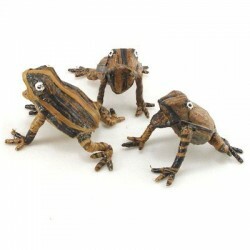 This fair trade banana fiber frog is small but detailed. 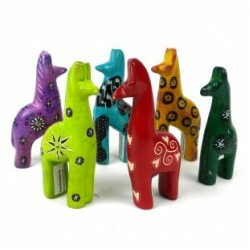 It is 9cm in lengt.. 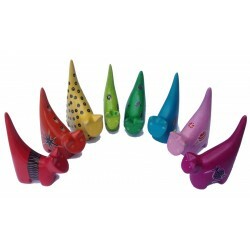 This musical grasshopper is made by the Karen tribal people from 100% Mango.. 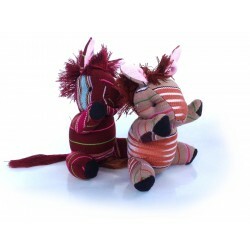 This very cute, small sitting horse has a fluffy mane tail and matching tai.. 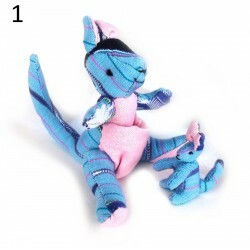 This cuddly small Kangaroo is made by the Karen tribal people from cotton a.. 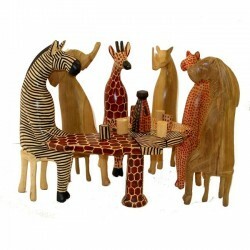 This very cute, large monkey is made by the Akha tribal people from 100% co..
Carved from mahogany, six fair trade African animals sit around a table sha..